Tonight we tell an ages old tale! A tale you will all find familiar. The tale of a writer and an actor creating the next Great American Horror Film. But what happens when your creation consumes your entire life? What happens when greed and lust for something great summons a monster buried inside of you? 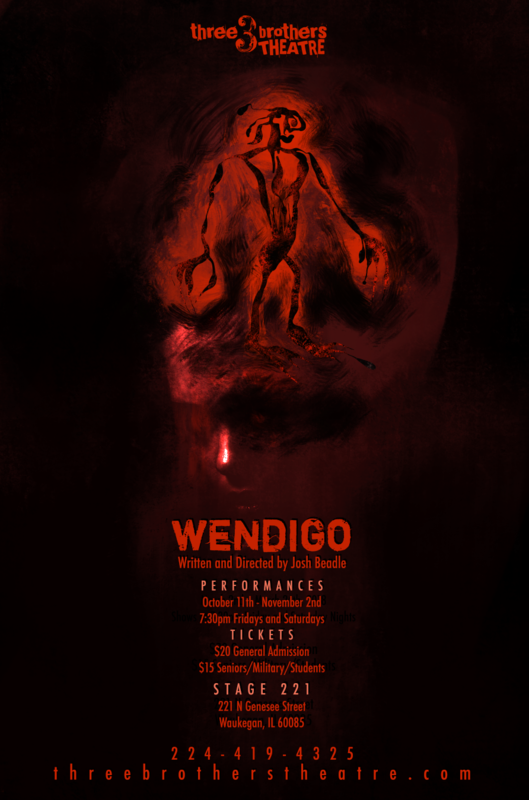 Wendigo sits at the intersection of film, appropriation, and a good old-fashioned horror story. A writer and theatre artist from Iowa and now living in Illinois dangerously close to the Wisconsin border. In 2009, he graduated from the University of Iowa with his BA in Theatre Arts. When not writing or producing he can be found worrying about his children and, in general, running. He has won no awards and does not intend to.